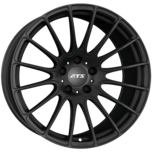 ATS Wheels have over 40 years of experience and bring a wealth of knowledge to the wheel market. 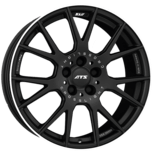 Elegant design, impressive technical advantages and cost-saving production methods mean ATS are leading the way in affordable premium wheels for your car. Using the expertise that comes from its high-tech racing series, right to the consumer. 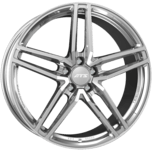 All wheel developments like many other top-quality brands, are made right in the heart of the industry, Germany. 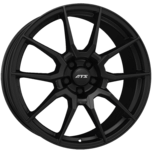 This wheel is manufactured by the sophisticated flow-forming method, and has a thoroughbred motorsports look-and-feel. CROSSLIGHT offers exceptional strength, and is designed to excel under extreme conditions. Over the decades, CUP’s design has left an indelible mark on the customisation industry. 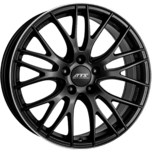 With its unmistakable diamond-and-black finish, this wheel continues to go from strength to strength. The ten slender yet athletic V-shaped spokes combine to create an expressive, highly attractive pattern. PERFEKTION simply perfect. Aggressive and edgy, PRÄZISION has a distinct look-and-feel, with an emphasis on stark contrasts. 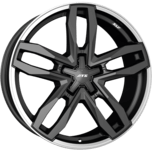 This wheel, and its proud owner, will stand out from crowd. RACELIGHT was born to compete. And it has the right combination of attributes: high strength but low weight – made possible by the state-of-the-art flow-forming process. All-weather elegance: five dynamic twin spokes and a highly resistant coating mean RADIAL will withstand the elements while retaining its refined good looks. RADIAL+ has inherited all the positive design attributes of the elegant RADIAL. 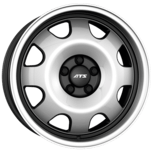 The added extra is the EH2 extended hump – making it suitable for use with run-flat tyres. 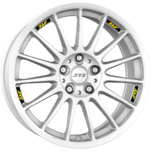 High-strength spokes featuring technology tried-and-tested in the gruelling world of motorsport: STREETRALLYE is a force of nature, just waiting to be unleashed. 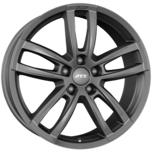 Not an ounce too much: SUPERLIGHT was forged in fire for the performance sports cars of this world – and seduces the eye with sleek spokes and precise contours. 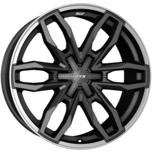 The muscular, wide-spread twin-spoke design lends TEMPERAMENT a sense of power and strength, making it an ideal wheel for the burly SUVs it was conceived for. 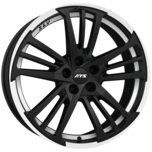 As a forged twin-spoke wheel, TWINLIGHT is the result of a sophisticated manufacturing process. And the result is not just graceful. It is also tough enough to pass the strictest of car-racing tests with flying colours. TWISTER oozes raw energy. 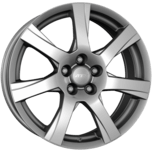 The two overlapping sets of seven spokes make one thing very clear: this wheel was designed for dynamism.